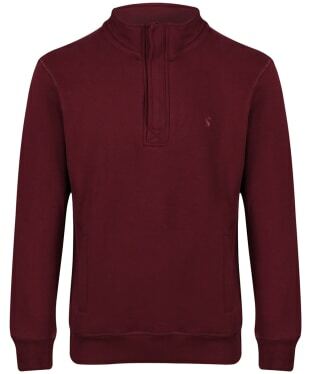 Explore a wardrobe favourite and make wonderful savings with our sweatshirts sale. 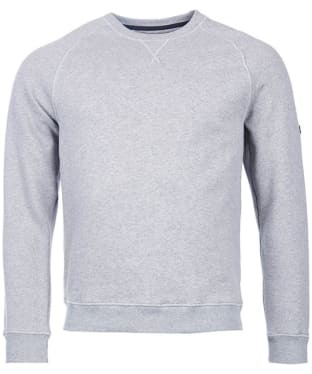 The classic wardrobe hero that creates the perfect layer, the sweatshirt is exceptionally versatile - weekday training or weekend comfort, our range of men's sweatshirts offers plenty of choice for the discerning wearer. 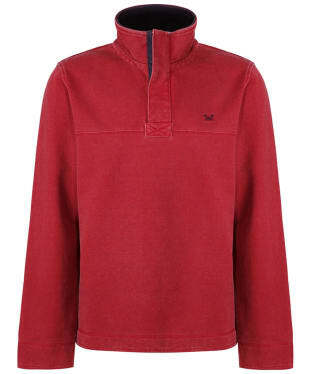 Casual styles that are so incredibly soft and comfortable make the ideal off-duty wear, whilst zip neck fleeces and button neck sweatshirts form the core of our range of tops from leading brands including Musto and Joules provide additional warmth and practicality in differing weather. A superbly crafted sweater can go a long way in transforming your everyday style, think bold graphics, luxury fabrics and contrasting volumes to play with. Original Penguin offer a unique selection of sweaters with a youthful vibrancy, whilst Barbour International and Crew Clothing offer a more slick and sophisticated approach. Whatever your personal preference, look no further than our incredibly vast compilation of sweatshirts. 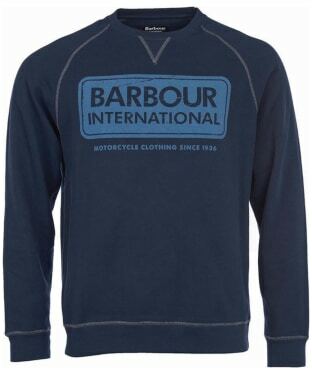 The Men's Barbour International Essential Crew Neck Sweat is sure to add warmth and style to any outfit. 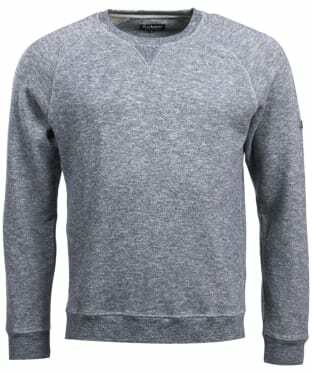 The Crew Neck Sweatshirt features, long raglan sleeves, flatlock stitching around the collar along with ribbed cuffs and hem for an on-trend feel and that perfect fit. 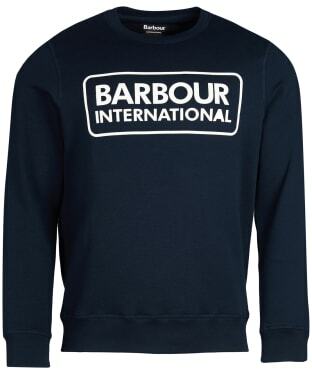 The sweatshirt is finished with Barbour International branding for that added mark of quality. Pair the sweat with your favourite Barbour International jeans and jacket for a fashion forward, casual look. 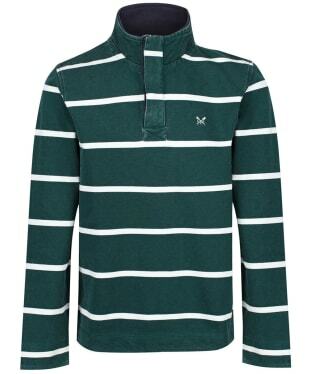 Add a touch of warmth to your attire with the Men's Joules Dalesman Zip Neck Sweatshirt. Super soft, this sweatshirt has been crafted from a cotton mix to keep you comfortable whether you are relaxing at home on those off duty days or heading into town. The zip neck fastens up to a funnel neckline to keep those cool winds at bay. 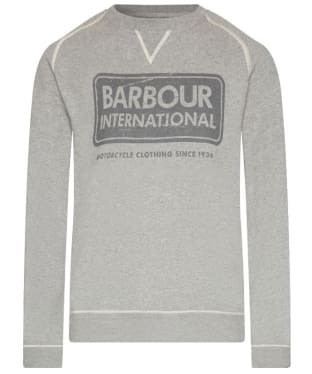 A strong biking heritage is the key influence behind this collection, and the Men's Barbour International Logo Sweater embodies the key characteristics with it's engineered fabric and bold design. Crafted from a soft cotton mix, it has been engineered to have a brushed, razored appearance for an urban edge. The iconic branded logo has been emblazoned across the front and is complimented by contrasting flatlock stitching. 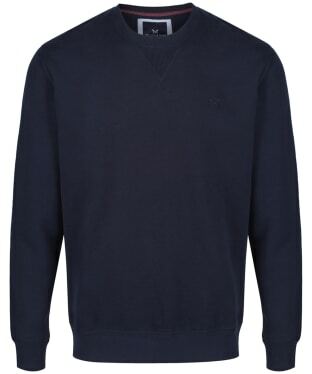 A comfortable fit with ribbed hem and cuffs, this sweater would look ideal with slim fit jeans. 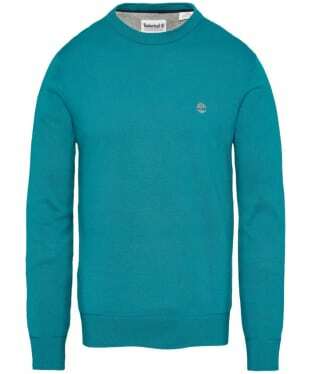 A versatile piece perfect for those cooler days, the Men's GANT Honeycomb Sweatshirt is ideal for placing under your favourite GANT jacket to complete your stylish look with ease. Crafted from super soft 100% cotton jersey, this sweatshirt offers not only a comfortable feel, but also a mid weight to keep you cosy. The flat knit collar and button placket fasten are an on-trend features that we know you will love, with the ribbed cuffs and hem providing a flattering, fashion forward finishing touch. Crafted from a cotton blend the Men's Barbour Offstore Crew Neck Sweatshirt is a stylish jumper perfect for adding a touch of warmth to your look. 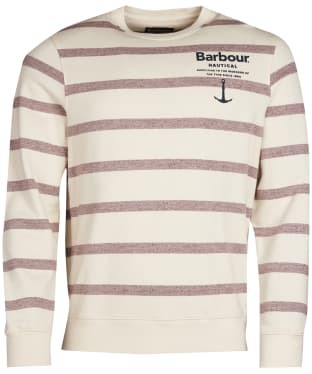 Featuring a washed out stripe design and a Barbour Nautical graphic to the chest, the sweater is sure to be a wardrobe favourite for many seasons to come and has been finished off with the Barbour branded side flag to the hem for that stamp of style and quality assurance. 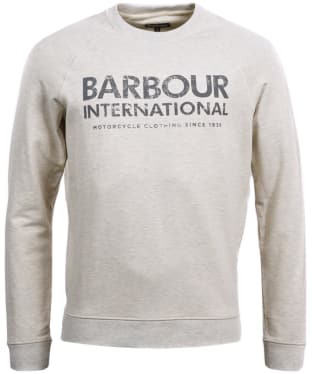 A wardrobe essential, the Men's Barbour International Large Logo Sweatshirt is sure to keep you looking on-trend through this season and beyond. 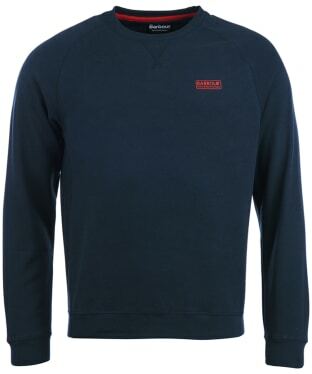 This sweatshirt is perfect for pairing with your favourite Barbour International jeans to complete you stylish attire with ease. Sure to add warmth on those cooler days, this fashion forward layer is finished with a Barbour International branded graphic to chest. Layer up in style on those casual days with the Men's Barbour Garment Dyed Crew Neck Sweater, crafted from a blend of cotton and polyester for a comfortable yet durable sweater. The washed finished gives you an added touch of style you are sure to love! The subtle Barbour branding gives the mark of Barbour quality and style. 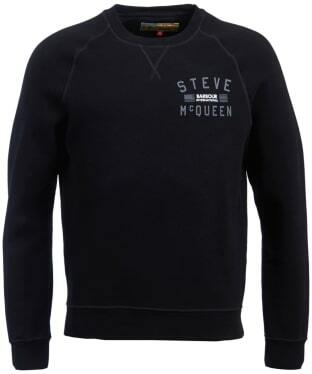 This authentically styled Barbour Steve McQueen Merchant Crew Neck Sweater features classic sporting detailing including raglan sleeve and top stitching around the neckline. 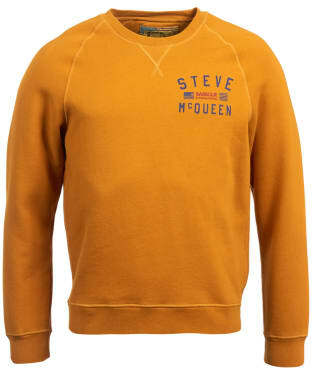 This cotton blend sweatshirt features a fitted hemline and cuffs and a Steve McQueen appliqué design to the chest. 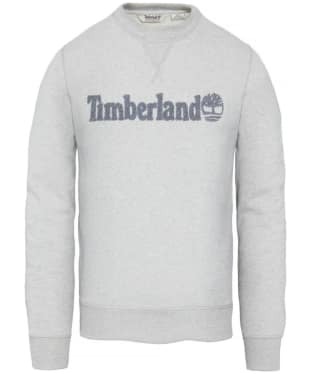 An essential piece for any stylish gentleman's wardrobe, the Timberland Exeter River Logo Crew Sweater is perfect for creating a fashion forward look on those casual days. Crafted from a cotton and polyester mix, you are sure to love the super soft and cosy feel of the sweater, with a durable finish for added wearability. The regular fit of the Exeter River ensures ease of movement for a comfortable sweater that is ideal for everyday wear, whether you are relaxing at home or embarking on an outdoor adventure! 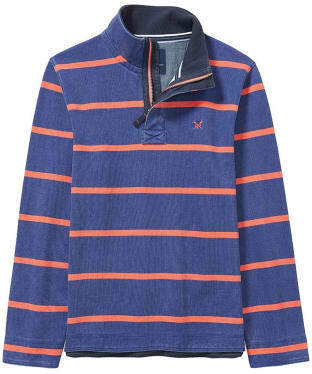 Perfect for layering on those cooler days, the Men's Joules Hillside Half Zip Sweater features a neckline that zips up to a funnel neck to keep those chilly winds at bay. Crafted from 100% cotton for a super soft feel, this warm and cosy sweater boasts ribbed cuffs, hem and neckline for that perfect fit and added touch of style. Place over your favourite Joules tee or shirt to complete your on-trend look with ease. 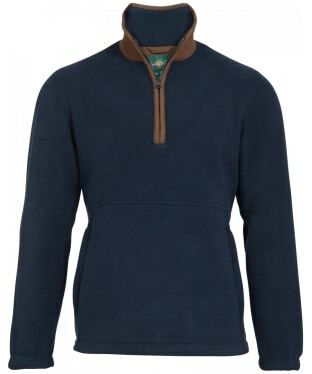 Perfect for when the weather gets cooler, the Men's Joules Oakhurst Funnel Neck Sweatshirt features a zip fastening neckline that creates a funnel neck to keep those chilly winds at bay whilst you are out and about! Crafted from a super soft and comfortable cotton mix, the Oakhurst is ideal for placing over your favourite Joules tee to complete your casual, stylish look. 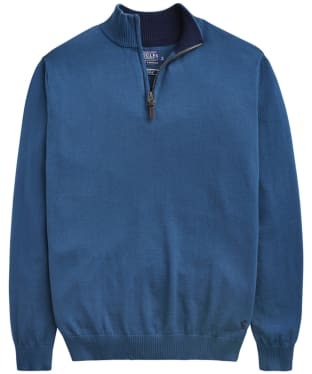 The Men's Crew Clothing Classic Half Zip Sweater has been crafted from 100% cotton for a super soft feel that will keep you comfortable all day long, whether you are strolling along the seafront or spending your day walking through the country! Sure to keep you warm and cosy on those chilly days, the half zip neckline adds extra protection from the cool weather, whilst also creating a stylish feel. The ribbed collar, cuffs and hem ensure that the sweater will fit you perfectly, with the striped design keeping you on-trend through this season and beyond. Finished with signature crew branding for that added mark of quality, pair the Classic Half Zip Sweater with your Crew jeans for a fashion forward, casual look that you are sure to love. 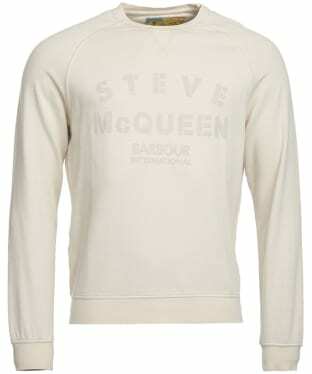 The Men's Barbour Steve McQueen Stencil Crew Sweatshirt is made from pure-cotton jersey with a soft fleece backing, sporty raglan sleeves and flatlock stitching at the seams. 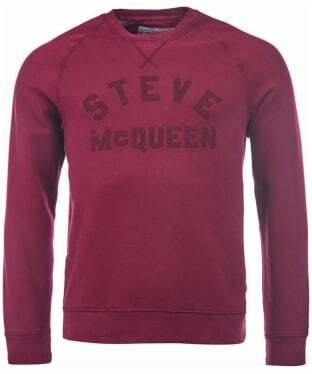 Inspired by Steve McQueen's career in the US Marine Corps, the front is printed with military-style stencilling. 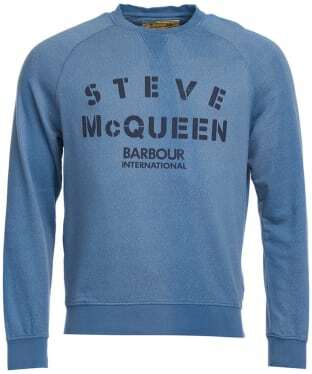 The Men's Barbour Steve McQueen Voxan Crew Neck Sweater is a cosy sweatshirt featuring long sleeves and ribbing at the collar, cuffs and hem for a neat finish. 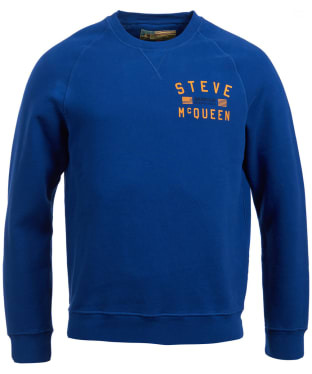 Perfect for when the weather gets cooler, this stylish sweater boasts flat lock stitching that enhances its sporty appeal, with the printed Steve McQueen branding at the chest creating an instant impact. 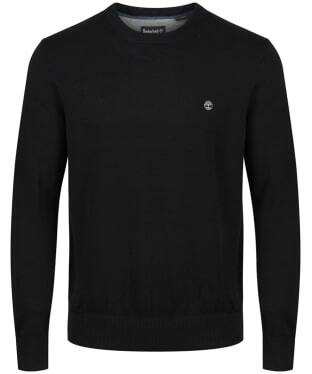 The Men's Barbour Cobra Crew Neck Sweater is the perfect layer up companion this season. 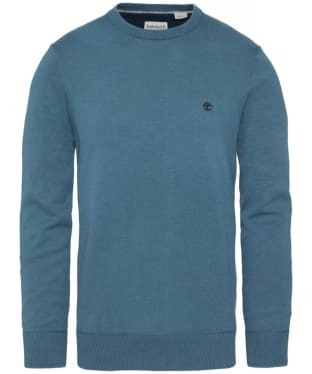 Made from a cotton blend, this jumper has a super soft and comfortable feel, and can be worn on its own or over a Barbour jacket for a stylish and timeless look. Ribbed cuffs and hem offer a sleek fashion forward finish and the Barbour Nautical graphic to the wearers left chest add that final touch of style and quality. 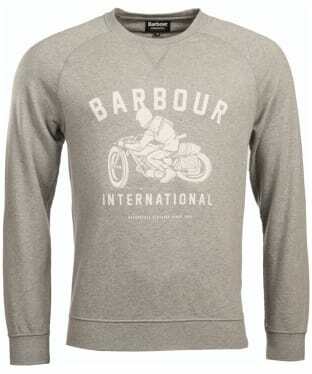 Inspired by Barbour's motorcycling heritage the Men's Barbour International Radial Sweatshirt is sure to add warmth and style to any outfit over the coming season. Finished off the with the Barbour International graphic on the chest for that added mark of quality and authenticity, this sweat is sure to keep you warm and smart over the winter months. 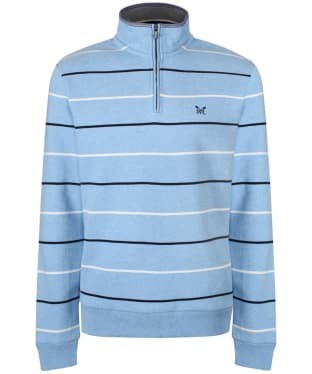 A key piece that is sure to keep you on-trend through this season and beyond, the Men's Crew Clothing Classic Half Zip Sweater is the ideal layer to offer warmth on those cooler days. 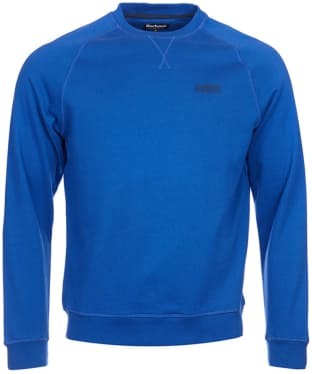 Crafted from 100% cotton, this sweater will keep you comfortable, with the zip neck fastening up to a funnel neckline offering extra protection from those chilly winds! 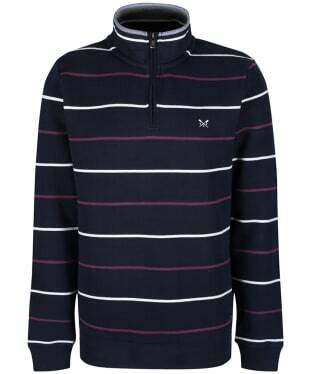 Whether you are walking along the seafront or heading into town, this half zip sweater features a striped design to keep you looking stylish, and is finished with signature Crew branding for that added mark of quality. 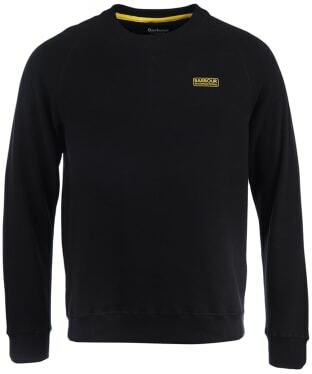 Inspired by Barbour's original fishing jacket, which was named after the River Spey in the Scottish Highlands, the Men's Barbour Cleave Crew Neck Sweatshirt features a vintage-style 'Speyside' applique to the chest. Garment-dyed with a rich summery hue, the cotton feels super-soft to the touch and has a fleece underside for an extra touch of luxury. The Barbour International Clutch Crew Neck Sweater is a simple yet stylish wardrobe staple that's great for everyday wear. Crafted from cotton and a brushed back fleece, this Barbour International sweater is incredibly soft and comfortable to wear, and adds a much needed layer of warmth in the colder months. The Clutch Crew features so traditional athletic design elements including a ribbed hem and cuffs, raglan sleeves and v-shaped cross stitching to the neckline to give that authentic finish. 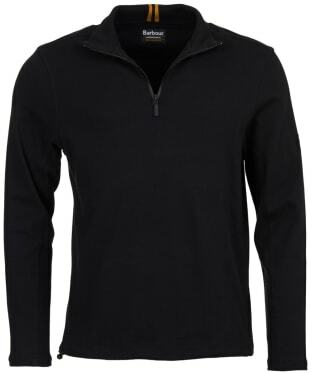 Perfect for adding warmth to any outfit, the Men's Crew Clothing Padstow Pique Half Zip Sweater features a half zip neckline for added protection on those chilly days! 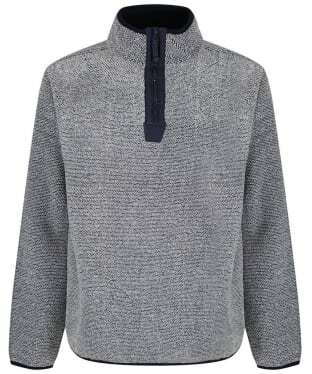 You are sure to love the soft and comfortable feel of the 100% cotton pique sweater, ideal for placing under your Crew gilet for a casual, on-trend look that will keep you cosy whether you are walking through the country or wandering around town. 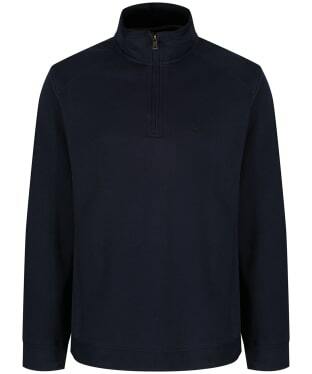 The Padstow Pique Half Zip Sweater is finished with signature Crew branding for that added mark of quality and style. 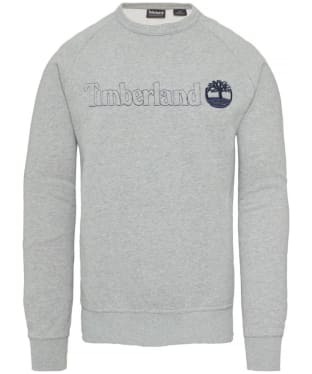 The Men's Timberland Taylor River Timberland® Crew Sweater is the perfect companion for those off-duty days this season and beyond, crafted from a blend of cotton and polyester to offer you a comfortable yet durable design you are sure to love! This sweater has been tailored to Timberland's regular fit which is ideal for offering you an added touch of comfort and wearability. The stylish Timberland branding to the chest offers you the mark of Timberland quality and style. Stay warm this season with the Men's R.M. 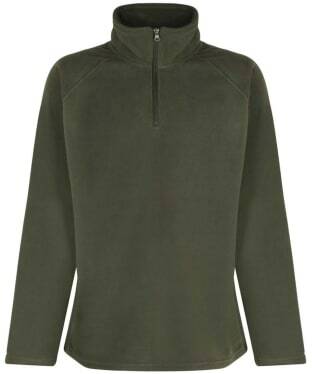 Williams Mulyungarie Fleece, perfect for adding an extra layer when you are out in town or country. 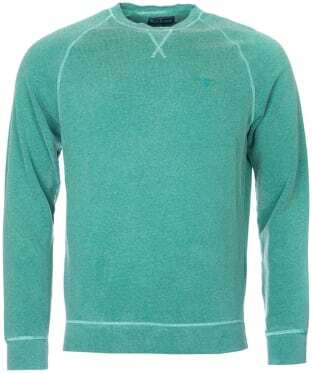 This long sleeve fleece top has been crafted from an 80% cotton blend, into a relaxed fit making it soft and comfortable enough for all day wear. The fleece lining offers you warmth when those colder days arrive, and the Mulyungarie can be worn on its own or layered under your favourite jacket for a stylish and practical look when you are out and about. 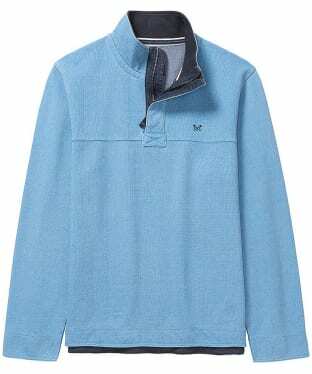 Boasting a ¼ zip funnel collar, the fleece offers you protection against those cold winds, and the ribbed cuffs and waist offer a close cut and neat finish. The R.M. Williams Longhorn logo has been embroidered to the chest to add that final touch of style and authenticity, making this a wardrobe essential to carry you through this season and beyond. 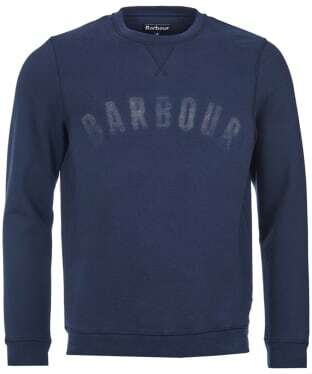 The Men's Barbour Logo Sweatshirt is the perfect companion for those casual days this season and beyond, teamed with a pair of Barbour Jeans to complete your casual look with ease. 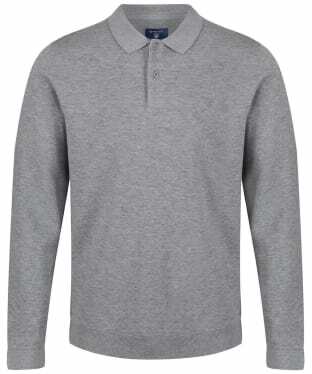 This stylish sweat has been crafted from blend cotton and polyester to offer you added comfort and durability. The Barbour logo to the chest gives you the mark of Barbour quality, as well as an added touch of style you are sure to love! The subtle Barbour Classic Tartan trims give you the mark of classic Barbour style. 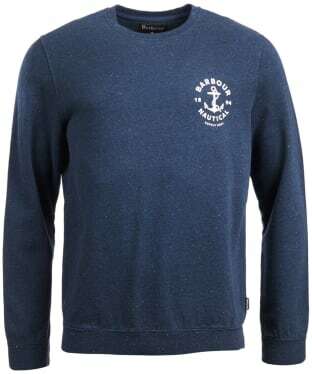 The Men's Barbour International Small Logo Crew Neck Sweater is a simple and stylish crew neck sweater, with retro touches, ready for this season. The Small Logo Crew has a straightforward design, having ribbed cuffs and hem, as well as a ribbed V panel across the front neckline. In addition, there is a contrasting Barbour International logo on the wearer's left chest. Crafted from 100% cotton the Small Logo Crew is a comfortable as well as breathable sweater, ideal for the warm summer months. 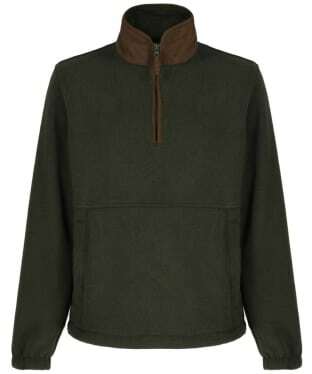 The Men's Barbour International Pillar Half Zip Sweatshirt is a versatile layering piece offering a slim fit in single-jersey cotton for a comfortable feel. Detailed with an elasticated hem, it's finished with contrast tipping at the inner collar and the iconic black and yellow sleeve badge. 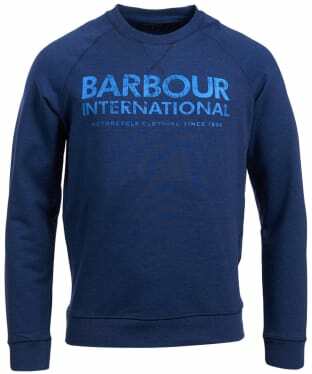 Pair this sweatshirt with your favourite pair of Barbour International jeans to complete your on-trend look with ease. 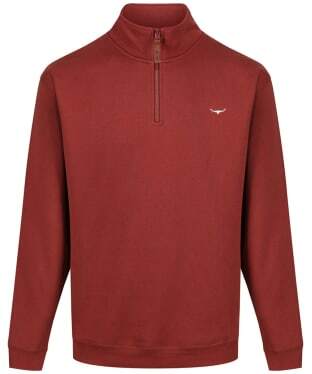 Perfect for adding a touch of warmth on those cooler days, the Men's Crew Clothing Padstow Pique Sweatshirt has been designed with a button neckline that fastens up to a funnel neck to offer extra protection from those chilly winds! Crafted from 100% cotton pique for a super soft feel, the Padstow will keep you comfortable all day long, whether you are exploring the coastline or having a more relaxed day in town. 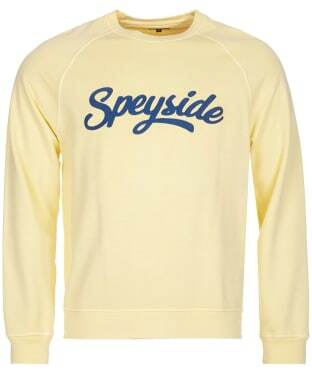 This sweatshirt is perfect for placing over your favourite Crew tee to complete your on-trend, casual look with ease. Complete your casual look with ease with the Men's Crew Clothing Logo Sweatshirt. Crafted from a cotton mix for a super soft, comfortable feel, this sweatshirt is perfect for those off duty days, whether you are heading to the coast or simply relaxing closer to home. Designed to a classic style for a timeless feel, the Logo Sweatshirt has a ribbed neckline, cuffs and hem for that perfect fit and is finished with signature Crew branding for that quality, on-trend feel.